The Muqata blog would like to say good-bye to all our readers in Jordan. As you Jordanian readers know The Jordanian government has ruled that electronic communication like websites will be subject to the country's Press and Publications Law. Presumably that means that websites such as ours that advocates that Jordan, with it's overwhelming Palestinian majority is a de facto Palestinian state under illegal Occupation by the Hashemite government, will not be taken too well by the authorities over there and will result in the Muqata blog being censored. Let's all say it together, "Jordan is Palestine" - and we share in your dream of breaking free from the shackles of your little dictator and his occupation government (forced on you by the colonial and imperialist power that was Britain), and you get that Palestinian state set up, so we can finally have a two-state solution of a Palestinian state living peacefully alongside the Jewish State of Israel - each on their side of the Jordan River. how dare you state the truth in such bold terms! it's not what people want to hear- and therefore not the truth. i really do wish the best for the palestinian majority in jordan. they seem happy with their bedouin/hashemite overlords, so who are we to tell them what to think or do? actually,"palestinians" have always been happy with whatever "overlords" they've been saddled with- just as long as they aren't jews. but you already knew that. Great idea, Jameel and so true. Let's see, how can we convince them...? Much of Jordan is really Jewish land too. 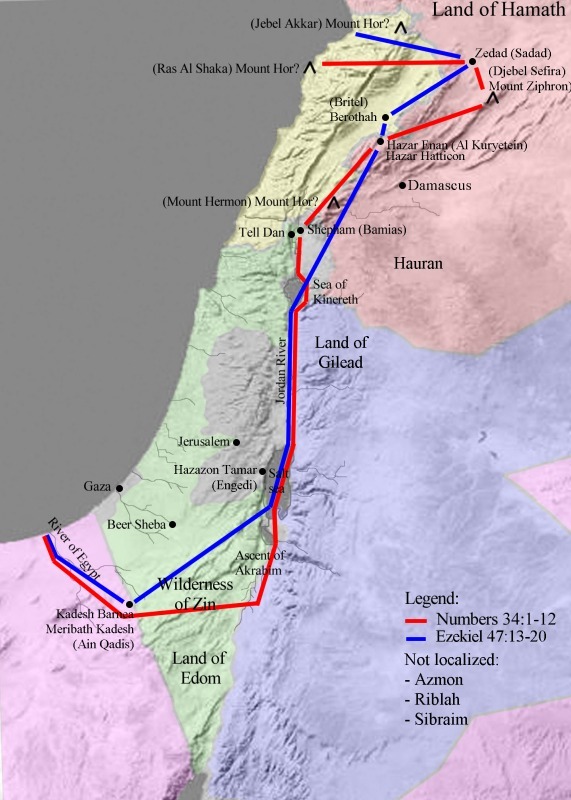 Jordan is Jewish land according to the British Mandate map for the Jewish Homeland in Palestine, but as far as I am aware from studying Torah, not according to Hashem's biblical borders, which include Lebanon and Syria. I would also take a bit more of the Sinai, beyond the Nilus, just to be on the safe side. Let the Palis have most of Jordan (ok, just some of it). Jameel, think you could handle all those waffles?